WOW! 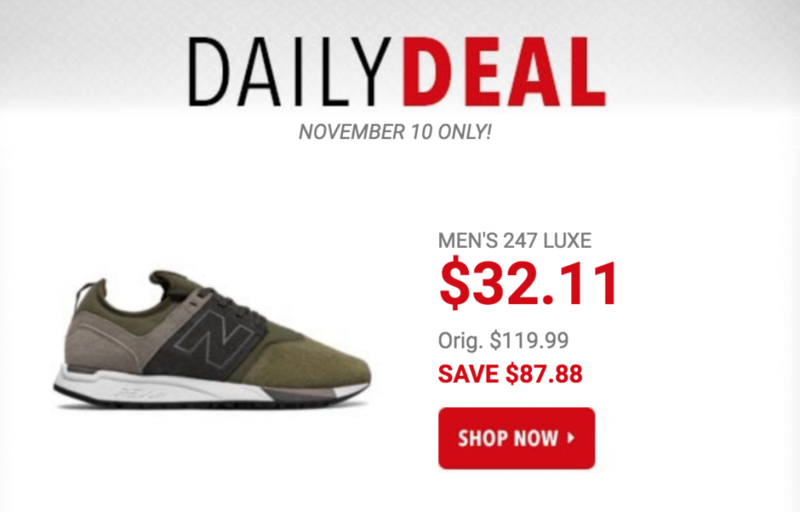 Today only, November 10th, you can grab the New Balance Men’s 247 Luxe Sneakers for just $32.11! (Regularly $119.99) A savings of over $85.00! Plus, promo code DOLLARSHIP should drop shipping fees down to just $1.00. The premium nubuck overlay showcases a subtle reptile pattern that lends an upscale vibe. Meanwhile, comfort features like bootie construction and REVlite midsole cushioning tie this evolution of an icon back to its athletic roots.